About a year ago, my family was introduced to essential oils for the first time and loved it! I didn’t try it because I was pregnant with my youngest child. I knew I wanted to pick some up because the oils helped both my husband and my daughter with the muscles aches and pains from being an athlete. It took a while, but I finally got oils for our family and am SO glad I did! It’s such a great way to take better care of myself and my family. Plus, I’ve been sharing what we have with friends at the gym and they’re enjoying the benefits as well. It’s always fun to help other people! One thing that stopped me from getting essential oils was the fact that I had NO idea how to use them. I was afraid that I’d spend a bunch of money and they’d just sit there, unused, because I didn’t know what to do with them. I thought it would be much more complicated, but essential oils are actually really simple to use. And very tough to use “wrong.” The learning curve is no where near as steep as I thought! 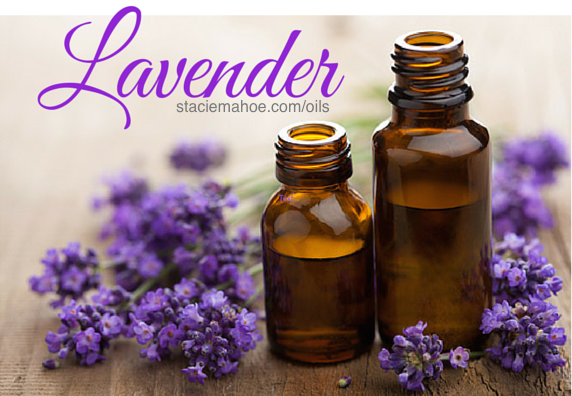 LAVENDER— Wonderful after a tough practice or a long day on your feet at the field. Rub Lavender along with Lemongrass on your legs and feet. It will help soothe sore muscles and fully rest. — One drop of Lavender helps relieve the pain and sensitivity of the occasional scrapes and abrasions you get on the field, or after too much sun. — Clear your mind so you can go into a game more calm, confident, and focused. Apply Lavender to your temples and the back of your neck to lessen the effects of stress and anxiety and promote mental clarity. — Feeling anxious before a big game but also know you need a good night of sleep? Rub some lavender on the bottoms of your feet for a more restful sleep. — Plus it smells nice! — Add Peppermint to a cold compress and cool down your overworked feet. — Keep a spray bottle of water with a few drops of Peppermint essential oil handy for those super hot, long, tournament days to help cool your body down. — Peppermint is a great way to cool joints without taking an ice bath. It helps to soothe occasional soreness in muscles and joints. 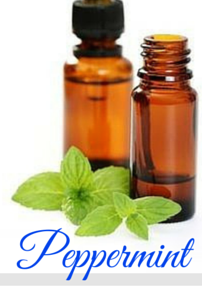 — Peppermint also works wonders on tension in your neck or discomfort around your temples. Rub some on the back of your neck and on your temples for some quick relief. — Concession stand food upsetting your stomach? Rub peppermint on your stomach for occassional digestive discomfort. Adding it to my water (just one drop along with a drop or two of lemon)! Sure adds a little kick to it! — Relief for those long travel ball trips. A little Lemon on cotton balls (other absorbent material) spread over your air vents goes a long, long way to creating a more pleasurable trip. — When you lack motivation or energy, try rubbing a drop of Lemon on your hands, the back of your neck or even through your hair. 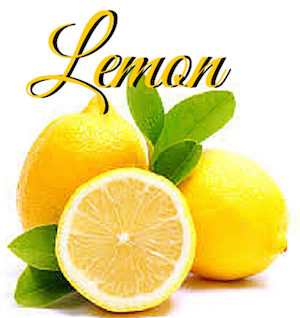 You’ll be amazed at the power of the Lemony aroma! — After a long day of school and practice, diffuse with Peppermint during homework time to stay awake and focused. I enjoy a few drops of Lemon in my water. It provides a gentle cleanse to your system along with a variety of other health benefits. Since the majority of health benefits from citrus fruits come from the rind, a high quality citurs Essential Oil can give you those benefits without you having to eat the rind of a fruit! Pretty cool huh? Lavender and Lemon are relatively mild and can be used “neat” or without dilution. Peppermint is a bit “hotter” and may need to be diluted for kids or people with sensitive skin. Carrier oils such as fractionated coconut oil (my favorite), olive oil, and almond oil can be used to dilute oils. Carrier oils also help “carry” your essential oils deeper into your body and aids in absorption because LESS oil evaporates from your skin which mean you get more benefit while using less oil. The cool thing about essential oils is that your body will take what it needs and eliminate what it doesn’t. doTERRA oils are Certified Pure Therapeutic Grade oils of the highest quality which them much easier for your body to use or flush as needed. Because your body will take what it needs and eliminate what it doesn’t, it’s very difficult to use essential oils “wrong.” For example, you could apply all three of these oils at the same time and benefit from all of them. In case an oil IS a little too “hot” for you, simply add carrier oil to the area and rub it in to help reduce the discomfort. When in doubt of where to apply, just rub it on the bottom of your feet. Your skin is less sensitive there and your pores are bigger for faster system wide absorption. An oil applied to the bottom of your feet provides benefits to every cell in your body in 20 minutes! This is, by far, the most cost effective way to buy these essential oils. Save 25% on all orders. Start with an “enrollment kit” which is priced at BELOW wholesale and waives your wholesale membership fee. Plus, you can take advantage of monthly promotions. Earn Rewards Points on your purchases so you can “buy” more products with points instead of with cash. Get a free product every month you make a qualifying purchase and more. Easy enough. Unfortunately, due to government rules and regulations, I can’t link to my essential oils website from here. HOWEVER, I can contact you personally and get you all the information you need to start taking great care of yourself and your active family with essential oils. Simply fill out this form below [or email me at oils *at* staciemahoe .dot. com] and I will be in touch! ‹ Softball Coaching: Would you teach a whole team to slap? Great work for posting this insightful article. to leave a note. I’ve subscribed to your blog and linked this to my Facebook.